We've provided this sample to give you a feel for some of the basic techniques taught in our book "Adobe Photoshop for Textile Design". To see a list of more advanced textile design techniques covered please go to www.designtextile.com . Please note that even the more advanced textile design techniques in the book are taught in this clear and easy to follow manner. Included with the book is a CD with practice textile images and color charts. With these tools in hand you should be up and running in a very short time. After you've mastered the basic concepts of color reduction it's time to move on to the fun task of coloring your design. At the moment you changed your design from RGB mode to Indexed color mode you gained access to a miraculous thing. 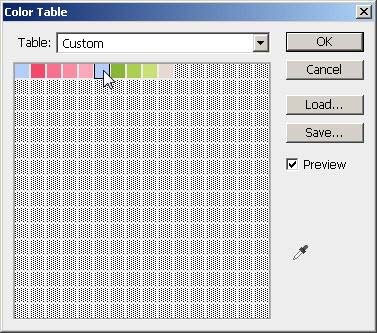 The "Color table". The Color table allows you to change individual colors in a fast and easy manner. This is the reason why you struggled to color reduce your design in the first place. So that YOU can have it easy. 1. Start with an opening an image that has already been color reduced and is in Indexed Color mode. 2. Click on Image drag down to Mode drag over to Color table. The Color table window will open up. In the window will be the colors that you had previously reduced to, along with a bunch of grayed out boxes. 3. Click on one of the colored boxes in the Color Table. The Color Picker menu will pop up. 4. 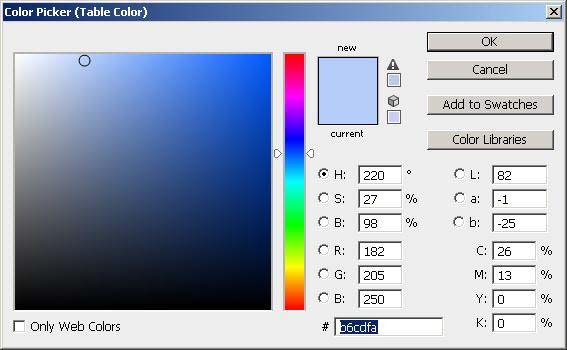 Towards the right-hand side of the Color Picker you will see several options for mixing your colors. The one that is most commonly used is H, S, B (hue, saturation and brightness). Select the number next to the H (by dragging your cursor over it) and change it. You can pick any number from 0 to 359. Change the numbers next to the S and B. You can pick any number from 0 to 100. For demonstration purposes choose numbers close to 100. Click OK.
5. Click on the next colored box on the Color table and repeat steps 4 and 5. 6. When all the colors are changed to the ones you want click OK. If you still have too many colors in your design there is a technique for merging colors. Or in other words taking two colors and collapsing them into one color position. To do this, try the following. 1. Start with opening an image that has already been color reduced and is in Indexed Color mode. 2. Click on Image drag down to Mode drag over to Color Table. The Color Table window will open up. 4. Then in the Color picker menu highlight the color number found at the bottom of the dialog box (see illustration below). This can be simply done by dragging you cursor over the color number. Then press and hold down the Control key(or the command key on a Mac) on your keyboard then hit the C (letter key) on the keyboard. This copies the color number. Then Click OK.
5. Then Click on the colored box in the Color table that you want to merge with the first one. The Color picker menu will pop up again. 6. Then in the Color picker menu highlight the color number found at the bottom of the dialog box (see illustration below). This can be simply done by dragging you cursor over the color number. Then press and hold down the Control key (or the command key on a Mac) on your keyboard then hit the V (letter key) on the keyboard. This pastes the color number. Click OK. Then in the Color table menu click OK.
7. Now on top of your screen, click on Image drag down to Mode then drag over to RGB color. 8. Now Click on Image drag down to Mode drag over to Indexed color. 9. Change Palette to Exact then click OK. "PRESTO!" Your two color positions are now merged into one color position. Again don't forget to SAVE YOUR DESIGN! Before you do the exercises in this chapter double check your preferences by going to Edit→ Preferences→ General and then make sure that Interpolation is set to Nearest Neighbor (preserve hard edges). Also check that anti-alias is not checked on any of the selection tools such as the Magic Wand tool or the Rectangular Marquee Tool. 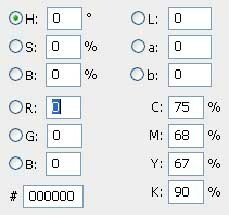 It�s important to keep an eye on these settings so that your image doesn�t blur when it is in RGB color mode. 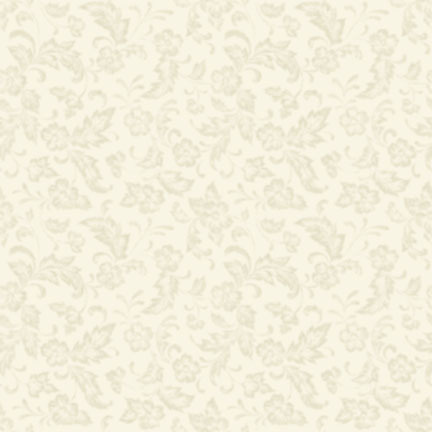 This first repeat is used mainly for placing small uncomplicated designs into a square repeat. To start with, open up the design DOTS SIMPLE REPEAT from the REPEATS folder on the enclosed CD. 1. Choose the Rectangular Marquee tool from the toolbox. 2. 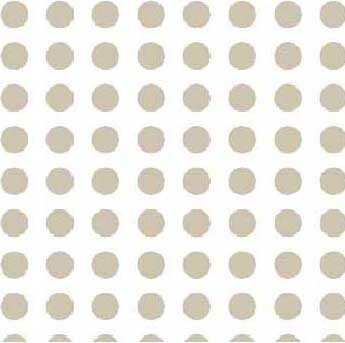 Locate a dot in your design that you want to repeat. 3. Draw square box around it using the Marquee tool. 4. Click on Edit then drag down to Define pattern. 5. A dialog box will pop up. 6. Type in a name for your pattern and click OK.
7. Deselect the Marquee by clicking on Select then dragging down to Deselect. 8. Click on Edit then drag down to Fill. 9. The Fill dialog box will pop up. 10. Change the word that is next to the word Use to the word Pattern. 11. Change the Custom pattern (by clicking on the arrow next to it) to the pattern, which you have just defined. 12. Click OK. Your image window should now be filled with that pattern. Save this pattern with a different name than the original. If the pattern doesn't look right click on Edit and drag down to Undo Fill, and then try these steps again. Creating a repeat using the Offset filter is the most versatile and commonly used method for creating a repeat in PhotoShop. It requires a lot of juggling between color modes, however once you get the hang of it, it's rather quite easy. To make things a little easier, in the following exercise you�re going to be working with a design that has already been color reduced for you. 1. Start out by opening the design ROSE PRINT SQUARE REPEAT from the REPEATS folder on enclosed CD. 2. Change the color mode to RGB (Image→ Mode→ RGB Color). 3. Go to Filter→ Other→ Offset. 4. The Offset dialog box will pop up. Make sure that the Wrap around function has been selected and the Preview box is checked. See the book for the rest of this technique. I�ve left this chapter for last because you should really be comfortable with everything that is taught in this book before moving on to Spot Channels. As a designer you may not even need to master Spot Channels, however Spot Channels are widely used by engravers therefore knowing how to work with them will give you a valuable design edge. There are people that may have you believe that there are mysterious unexplained forces in this universe and that Spot Channels are among them. Quite often an artist may receive a design on a disk that has been converted to Spot Channels by a textile engraver, only to be told that the engraver doesn�t know how his artists created them, but you as an artist should magically recognize what Spot Channels are and even be able to work with them. Sometimes engravers even mistakenly call them layers (which they are not). This confuses the issue even more. All the engraver knows is that designs created (or converted) to Spot Channels are easier to engrave then either color reduced designs or designs given to him in layers, and that creating Spot Channels is a mystifying, puzzling skill (some may even call it alchemy) that they believe all artists should somehow magically know. There is no mystery to Spot Channels. There�s only a simple set of rules that once mastered will give you yet another design tool at your disposal. What�s so special about Spot Channels? 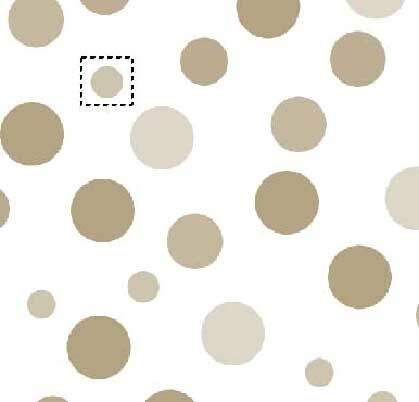 One Spot Channel can include both solid portions of a color and several lighter (transparent) tones of the same color. This is pretty much the same thing that happens when you print on fabric. For example: Imagine that you are screen printing a blue watercolor flower on a piece of fabric. A single screen can print both a solid saturated blue along with several lighter (transparent) tones of the same blue. This is why Spot Channels are so valuable to an engraver, because they mimic what actually happens on fabric. Therefore an engraver can actually use a design that has been converted to Spot Channels to cut screens from. Don�t be confused. Don�t think too much. Just follow along with me and you�ll get the concept. 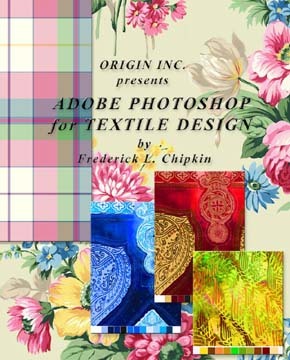 The book "Adobe Photoshop for Textile Design" is part of the The "Origin inc. Textile design collection". The Origin inc. Textile design collection was intended to give the designer the references and tools needed to create a compelling and complete textile collection. Not enough? If you would like to see more sample pages from Adobe Photoshop for Textile Design just go to Google Book Search http://books.google.com/ and type in Adobe Photoshop for Textile Design or type in the ISBN# 9780972731768.